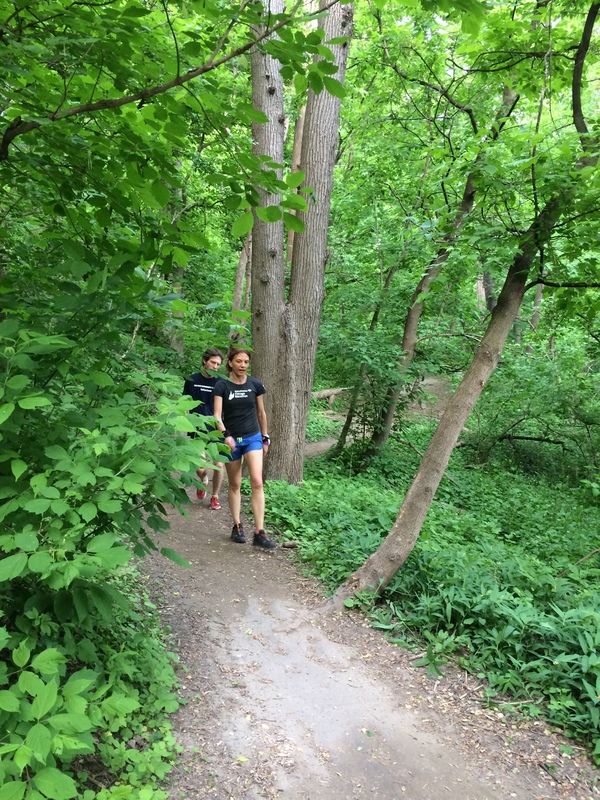 On Monday evening we had as few new runners join some of our regular runners for a get to know the trails and some great trail running pointers. 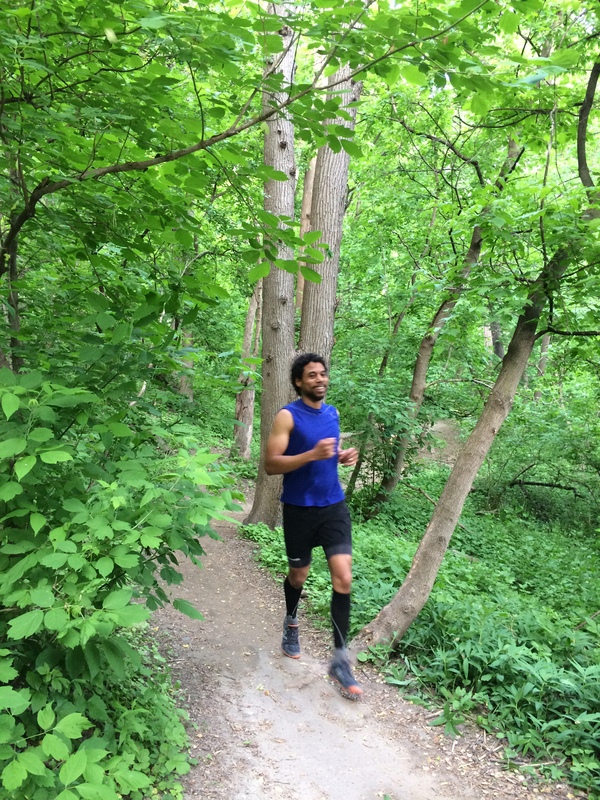 We worked on footwork, hills and an overview on the basics of running the single track trails. We explored some of the great trails and even saw a Deer! One surprised us not far from the Pottery Road trailhead. I think the new folks who came out are registering for our final 5 sessions, which is great. We have Tuesday and Wednesdays sessions. The Tuesdays are for the folks who are a bit faster and/or are a bit more experienced on the trails. Next week is a great time to join us as we will be pulling out the GoPro Black for some Hi Def video on everyone’s running on the trails. We will be looking at technique, particularly footwork. I am posting some video from this week and a couple photos courtesy this time of Julietta (thanks much). P.S. Todays Tuesday evening session just concluded a couple hours ago and a swell time was had by all. We worked on momentum on short ups and down amongst many other things. Looking forward to tomorrow’s group and my run with Rob on Thursday. I am tossing around the idea of having a get together one evening for some of the faster folks around for a speed session/fun race on the trails. If anyone is interested then give me a shout. It is free and limited to 10 spots.